Bread, Week 10: I wasn’t sure what to bake this week. I was out of town over the weekend so I had no time to make yeast bread. 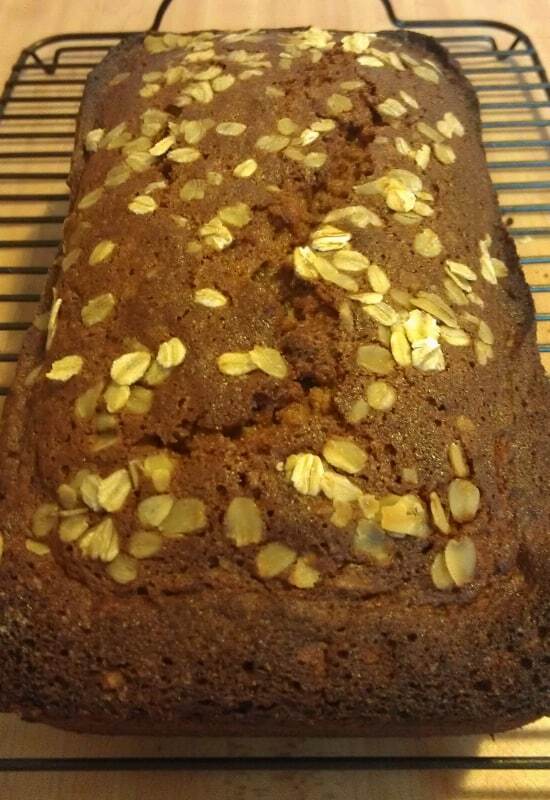 I didn’t have ingredients (mostly bananas) for other bread recipes I had bookmarked. 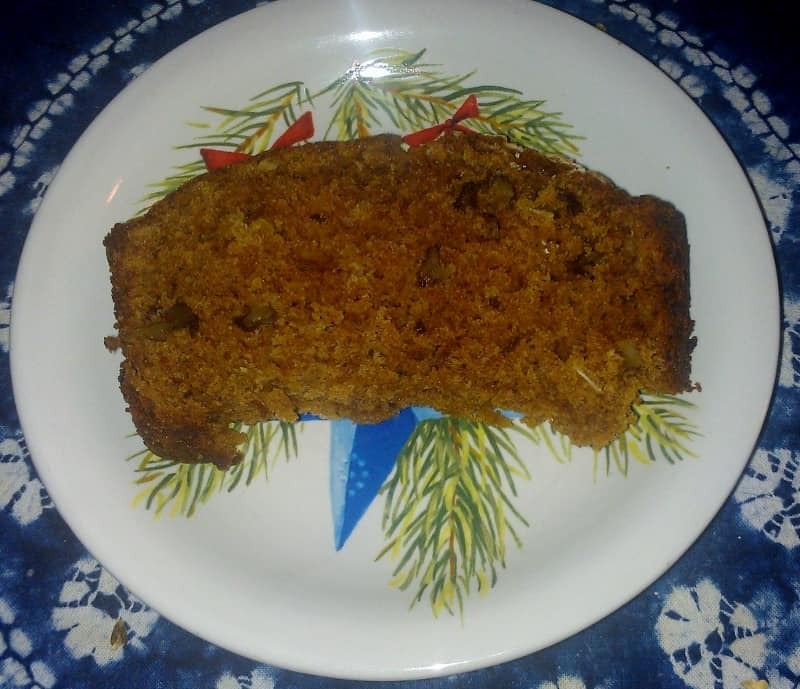 This Applesauce Oatmeal Bread recipe was perfect because I had everything available to make it. I wish I could tell you I had a burning desire for an autumn bread after the additional snow we got during the first weekend of March, but no! Convenience was the sole reason I made it, but I was happy with the results. The bread was very moist and tender – not surprising with such a large amount of oil included in it. It tasted faintly of apple (much like apple donuts do), even through the warm spices, and the oats gave some bites of bread a nice chewy texture. I enjoyed the walnuts in the bread. The crust browned a little more on the sides than I had wanted, but I enjoyed the crispness of the upper crust. It was sweet yet still felt hearty. I would happily make this bread again some autumn. I would try increasing the amount of whole wheat flour in it next time to make it healthier. Whisk sugar, eggs, applesauce, oil, and vanilla to combine. Add remaining dry ingredients (except for walnuts) and stir until all dry ingredients are moistened. Add walnuts. Pour batter into a greased 9x5 inch pan. Bake at 350F for 50-60 minutes, until a toothpick inserted into the center comes out clean. Cool completely before slicing.